@spangler wrote: Another Contestant Revealed! One of the nation's worst kept secrets was uncovered on Wednesday night with Nick 'The Honey Badger' Cummins revealed to be Australia's next Bachelor. And now, the identity of one of the women vying for his heart has also been revealed. 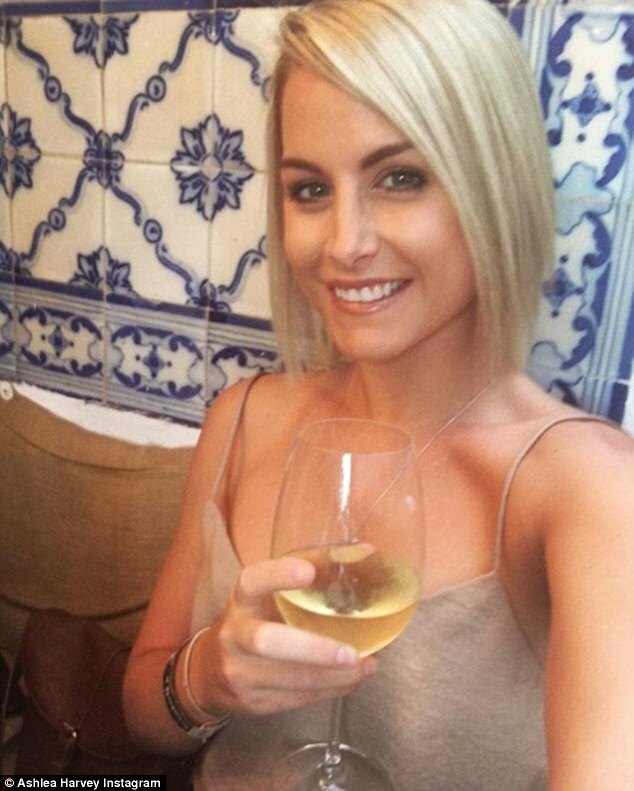 A source exclusively confirmed to Daily Mail Australia that 30-year-old single mother Ashlea Harvey would be on the show this season. Followers/following have all changed - it looks like either these girls have access to their phones, someone else is running their accounts, or 3/4 of the girls we've sleuthed so far is out already! I agree @Bobette I saw this after I posted about Alisha, which makes me think that they are allowing them restricted access to their phones this year, maybe allowing them to accept/follow/remove, but not to communicate with anyone on the outside? My guess is that TPTB are controlling their social media. Afterall, they pretty much told them what to post on instagram last year during the season viewing. The only SM account they didn't control last year was Toni May and that was because Laura had a friend updating it for her. 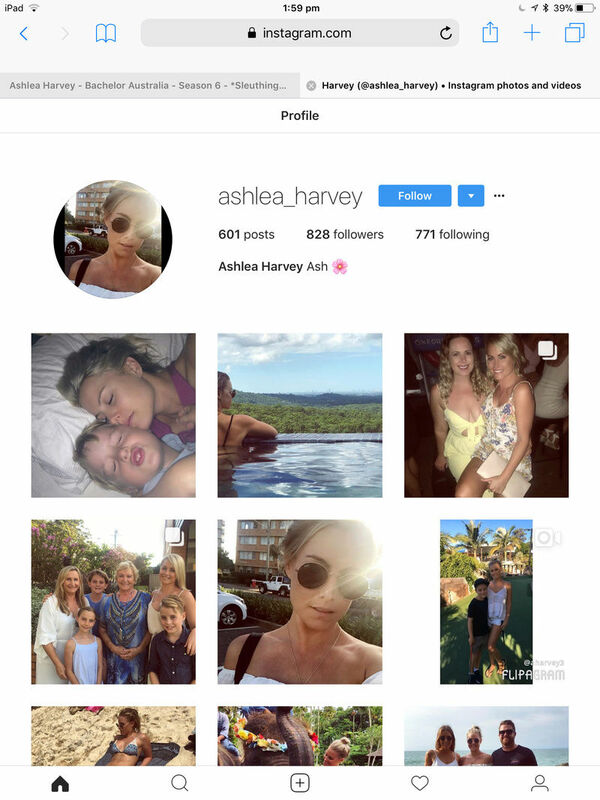 I'm thinking that Ashlea is either out, or has some access to her phone, probably because of her son. Her current instagram profile pic is different to the one I screenshotted earlier in the thread. @Dirty Street Pie wrote: I'm thinking that Ashlea is either out, or has some access to her phone, probably because of her son. Her current instagram profile pic is different to the one I screenshotted earlier in the thread. @Dirty Street Pie - Ashlea was at the group date 13/04 when the intruders arrived (see below) but not the group date on 17/04. It doesn't look like she got a single date so she could potentially be out. I don't see Alisha or Ashlea - does anyone else? 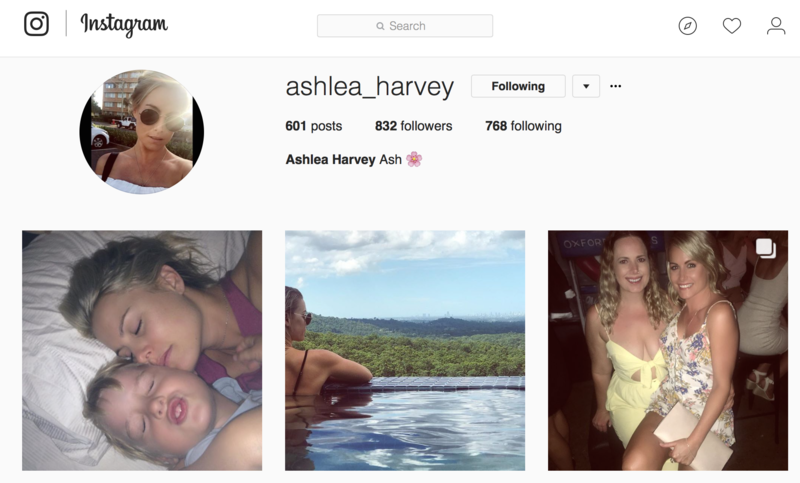 I think Ashlea is 100% out, she posted an instagram story asking people to follow her business page where she's shilling underwear. @Dirty Street Pie wrote: I think Ashlea is 100% out, she posted an instagram story asking people to follow her business page where she's shilling underwear. No sense in waiting. Time is money!